Dealing with any sort of foot pain is never a good experience. When you feel as though you should see a podiatrist in Kirkland to help you determine exactly what the cause might be for the foot pain that you have, it is going to be a good idea to make an appointment to see the professionals at Mill Creek Foot & Ankle Clinic. 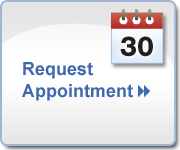 Making an appointment with us will mean working with a friendly and professional staff that is dedicated to making sure that you are able to enjoy the best when it comes to foot care and prevention of pain and discomfort. Do you have bunions that are causing discomfort? A bunion is a structural deformity that develops in the bones of your foot, usually right between the big toe and the foot. Bunions are usually a genetic family trait and should always be monitored as well as treated throughout your lifetime. Embarking on a treatment plan will help you to avoid having to go through much more involved treatments later on in life, which could include surgical correction, which understandably comes with a longer period of healing. If there is every any unpleasant sensations or persistent pains that you are feeling in either your ankles or your feet, you need to make sure that you can set up an appointment to see a professional as soon as possible. Even though the majority of pain in the feet will not be serious and it can be corrected easily, there are many situations where it can be an indicator of much more serious problems with your health. You need to have your feet working to get you around, so call (425)482-6663 today to see a podiatrist in Kirkland at Mill Creek Foot & Ankle Clinic.